Altus is a leading manufacturer of mobile and wall-mounted technology workstations because we study clinicians’ needs and design innovative workstation solutions to enhance efficiency and workflow. This guide is a full overview of Altus' product offerings. Healthcare environments have a wide range of challenges. 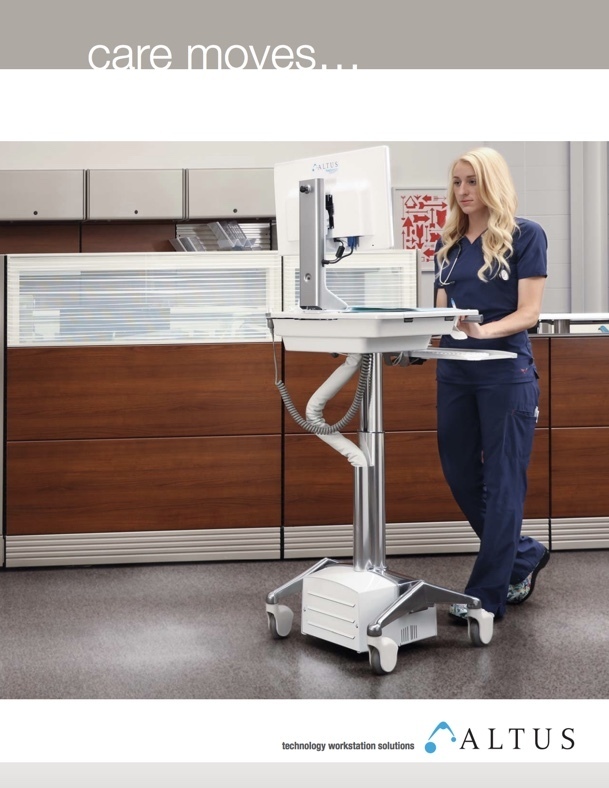 Altus technology workstations enable optimized mobility, adjustability, access to patient data, documentation at the point of care, and clinician well-being. Download for a thorough guide on the tools and resources to empower you and your team of clinician's workflow and wellness.